A method is presented for measuring particle residence time (PRT) directly from Lagrangian data. PRT is defined as the time a parcel of fluid spends in a region of interest. In this study a two-dimensional particle-tracking velocimetry technique is applied to demonstrate the basic working principle. To test the concept, measurements were performed for a fully turbulent, unsteady flow through an idealized stenosis model with a large recirculation region. The pulsatile waveform was characterized by a mean Reynolds number of 9600, Strouhal number of 0.075 and amplitude ratio of 0.5. 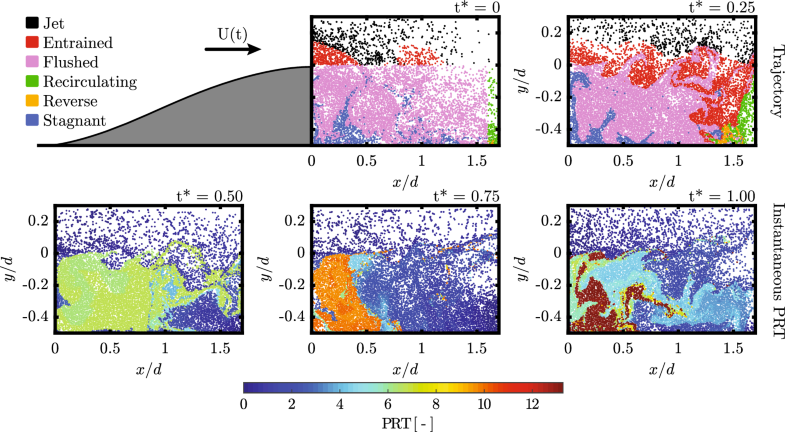 Lagrangian tracking is used to follow tracer particles as they exit the stenosis and are entrained across the shear layer into the recirculation region. Short particle tracks are extended forwards and backwards using a technique developed by Rosi and Rival (Exp Fluids 59(1):19, 2018), such that particles entering the measurement domain are tracked continuously. 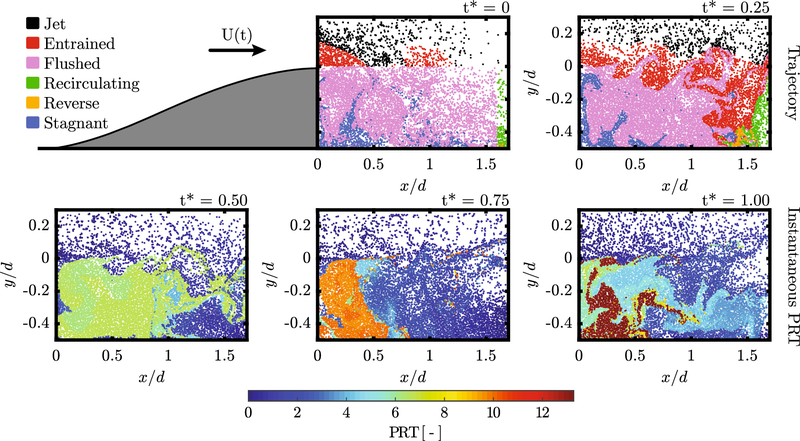 Identifying the origin of unique particles, and the trajectory they follow to reach their terminal positions, elicits significant insight from categorizing pathlines as belonging to the jet or being entrained into or caught in the recirculation region. PRT is directly related to path length and is computed at every instant along each pathline. Labeling particles according to their trajectory revealed differences in steady and unsteady flow that are quantified via PRT. The steady case accrued greater PRT on average but, in the unsteady case, pulsatility resulted in greater PRT of particles entrained from the jet. In both cases, instantaneous PRT measurements along extended particle tracks allowed the source and trajectory of high PRT particles to be identified. 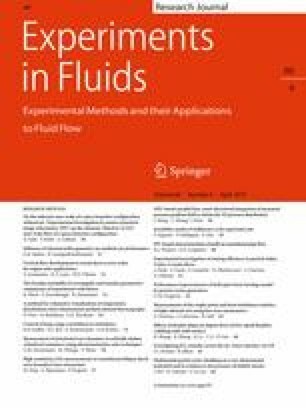 The online version of this article (doi: https://doi.org/10.1007/s00348-019-2718-1) contains supplementary material, which is available to authorized users. MDJ acknowledges the support of the Natural Sciences and Engineering Research Council of Canada (NSERC) (Grant no. 503854-2017) Alexander Graham Bell Canada Graduate Scholarship (CGS-D) and DER wishes to thank the NSERC Discovery Grant Program.